Timber framed buildings are at particular risk to attack by Wood Rotting Fungi (Wet Rot/Dry Rot) and/or infestation by Wood Boring Beetles (Woodworm). The structural integrity of the building can be significantly weakened over prolonged periods of exposure to moisture. Rain water penetration and Rising Dampness commonly cause significant damage to Timber Framed properties sometimes due a lack of adequate maintenance but more often due to construction detail and design limitations. Externally where ledges are formed by the timber frames, rainwater will penetrate the smallest of cracks. Where flashings are provided, they too can often be a route to allow rain water to penetrate. Over long periods, when the timber is exposed to high levels of moisture it can lead to the moisture content of the timber being elevated above 20%. The timber then becomes susceptible to attack by Wood Rotting Fungi (Wet Rot/Dry Rot) and/or infestation by Wood Boring Beetles (Woodworm). 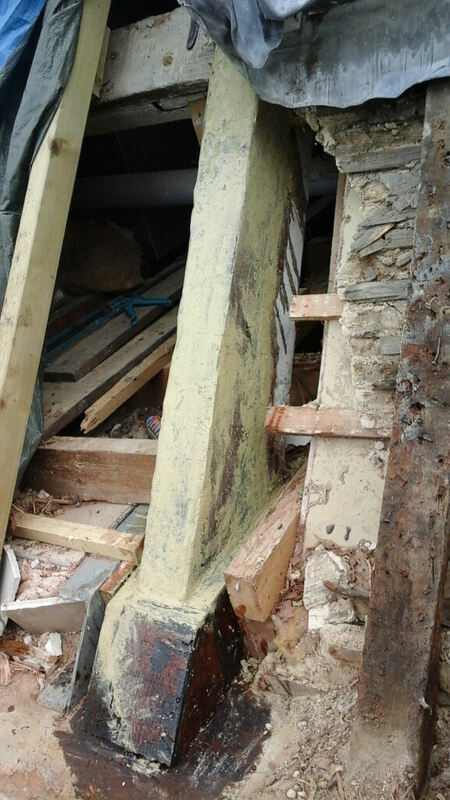 Traditional repairs require extensive deconstruction and scarfing in of new sections of timber, sometimes this is necessary due to the extent of the decay in the frame. We are often consulted to inspect buildings and propose a repair strategy where the decay is largely superficial, however we also deal with more serious decay where it may be affecting structural integrity. Typical repair strategies employed by Protectahome for timber framed buildings include the splicing in of new sections of timber where appropriate along with the consolidation and repair of existing timbers using epoxy resins. When replacing pointing and rendering we utilise lime based compositions sympathetic to the structure and the existing remaining finishes. Protectahome Surveyors and Technicians are highly skilled and experienced in dealing with the repair of Timber Framed Buildings and we pride ourselves in the high standard of finish we achieve with our repairs. For more information on Dry Rot, Wet Rot, Damp Timber, Wood Boring Beetle Infestations and their Life Cycles please please click for more information. For further information on projects completed by Protectahome please see our Case Studies Page or alternatively to arrange an appointment with one of our experienced Surveyors please call us on 0800 055 6966 to arrange an appointment. 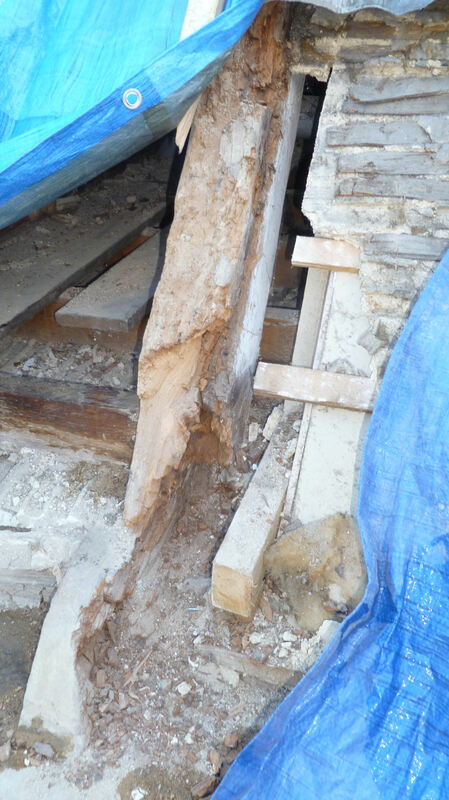 Decayed Truss End Timber in need of repair.